Iestyn regularly performs with the choir. 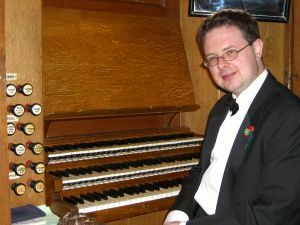 Originally from west Wales, Iestyn was organ scholar of St Davids Cathedral before going up to The Queen’s College, Oxford where he read music. 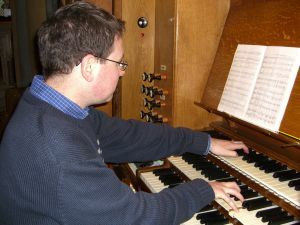 After graduating he was appointed Organ Scholar of Westminster Cathedral and subsequently of Westminster Abbey whilst completing a postgraduate performance course at the Royal Academy of Music. Iestyn is now Assistant Director of Music at the Cardinal Vaughan Memorial School in Kensington and Organist of St Etheldreda’s Church, Ely Place and in January will be moving to St James’s Church, Spanish Place. He is also conductor of the Hill Singers Chamber Choir in Wimbledon. Amongst his more eccentric performances was a complete cycle of the organ work of J.S. Bach within twenty four hours last year when he raised over £6,000 towards a school tour to America.